Konica Minolta Buisiness Innovation Center - London. Konica Minolta’s UK Business Innovation Center asked us to look into the design principles that would shape the future of meetings. 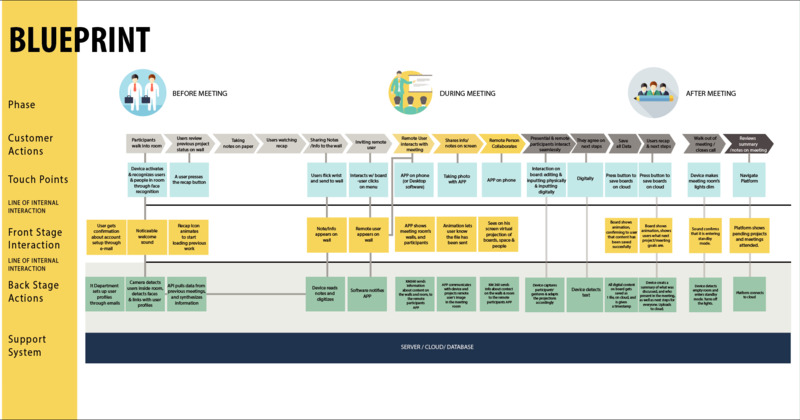 Our goal was to lay the groundwork to establish a set of design principles for improving the meeting experience. Through these design principles we envisioned a concept for the future of collaborative meetings, that involved developing sensing and projection technologies, that have the power for new kinds of interactions and collaborations. 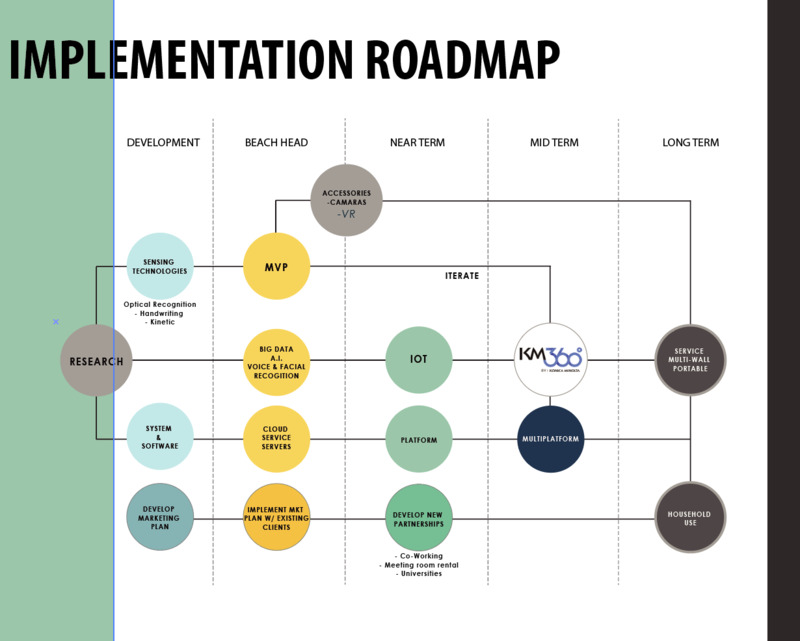 I was part of a 3-person team that covered all aspects of the design process: user research, trends research, ideation, co-creation, and prototyping. Our research focused on three main categories: trends investigation, user research, and co-creation sessions. From the research, we built several insights and design principles. We delivered a set of guiding design principles to be used in Konica Minolta’s new workplace hub platform. 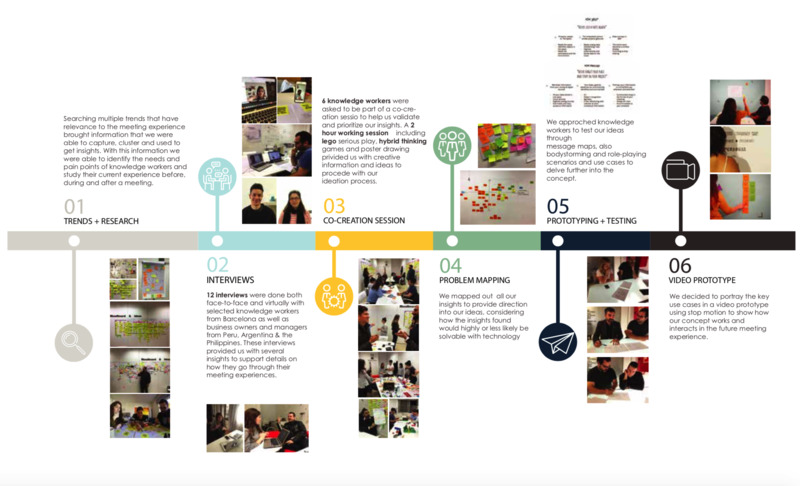 Through these design principles we envisioned a concept for the future of collaborative meetings that involved developing sensing and projection technologies, leveraging existing Konica Minolta research and development. A video prototyped showed the potential for new kinds of interaction and collaboration.